You have to admire a superhero who isn’t afraid to fight crime in pastel purple. 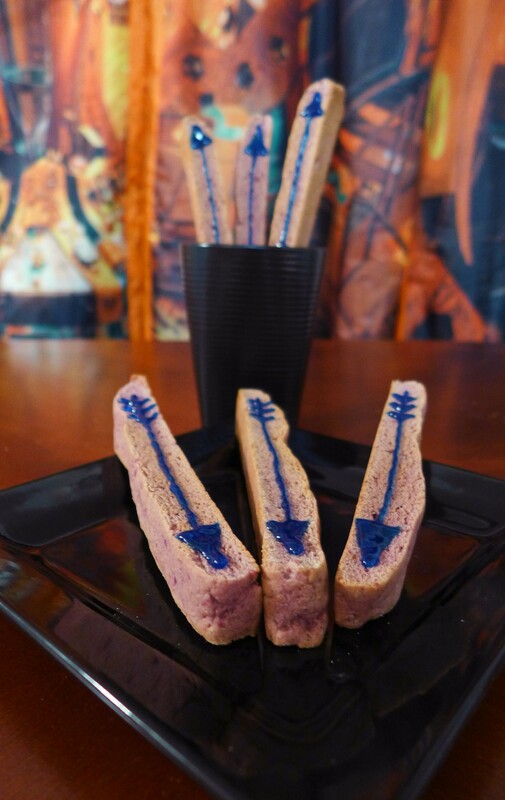 Honor Hawkeye’s bold fashion decisions by filling your culinary quiver with Okinawan Purple Yam biscotti arrows. 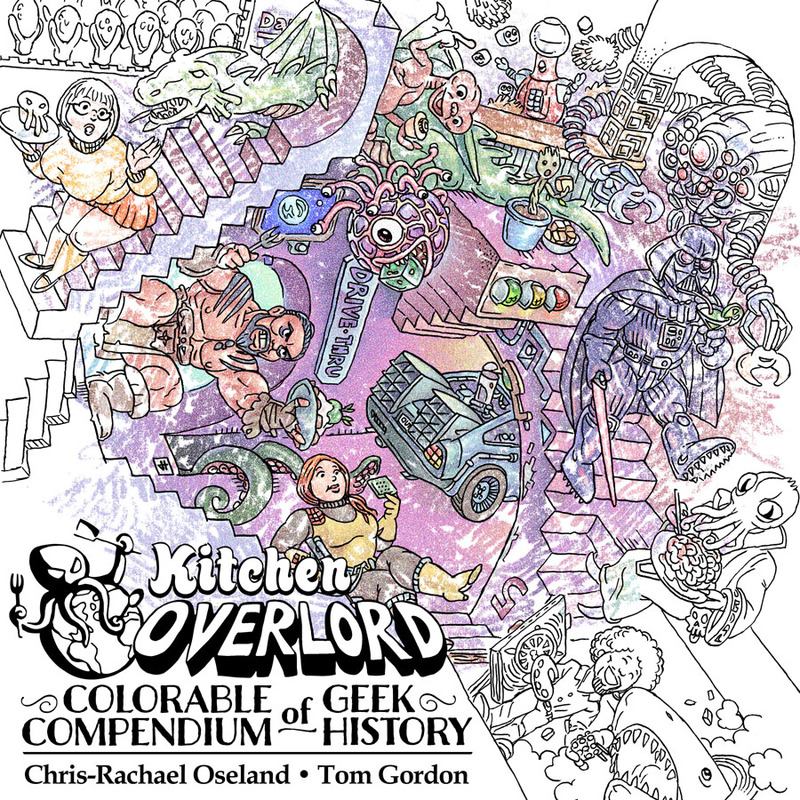 As I mentioned in the the Hail Galactus, Devourer of Carbs recipe, you can tart up your pumpkin spice dishes by substituting Okinawan Yams, also known as Purple Sweet Potatoes. In the fall, you can find them at farmers markets or the sort of schmancy grocery stores that also sell live probiotics and crystal deodorant. 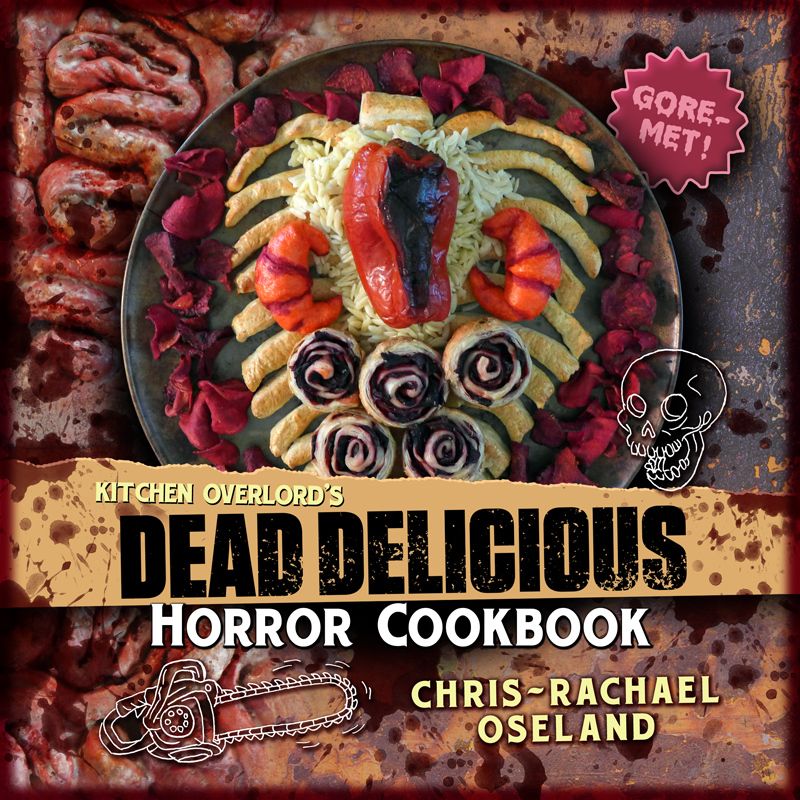 The sweet, starchy flesh is a decadently deep purple that stains any other food it touches. Perfect. Start by using a fork to poke a couple holes in a large purple yam. Microwave it for 10-15 minutes, or until cooked through. When it’s cool enough to touch, use a spoon to scoop out all the dark purple flesh. I hope you didn’t wash that fork, because you should put it to good use mashing all the butter into the hot tubers. Once the butter is fully integrated and the potatoes well mashed, beat in the eggs and vanilla. In another bowl, whisk together your flour, sugar, baking powder, pumpkin pie spice, and salt. Once the dry ingredients are indistinguishable from one another, pour the whole bowl into your purple sweet potato mash. Go ahead and use your fingers to knead everything together until it’s barely combined. You don’t want to overwork the dough. It’ll be a little crumbly, which is fine. Resist the temptation to add more water. If you do, you risk mushy biscotti. 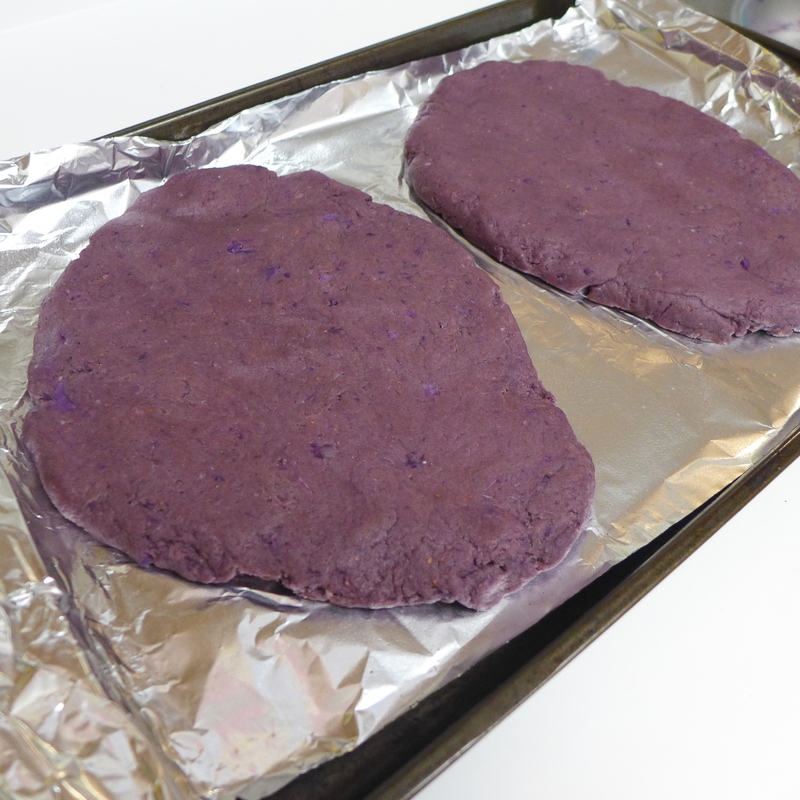 Divide the dough in half and shape it into two large, flat ovals, no more than ½ inch thick. When I make red velvet biscotti, I like to shape my loaves like a pair of lungs, but feel free to envision whatever makes you giggle. Bake at 350F for 28-32 minutes, or until the center is firm to the touch but the top isn’t darkly browned. Let the loaves cool completely. This is important. If you cut into them too soon, you’ll end up with a whole lot of tasty crumbles but no complete cookies. Once the loaves have cooled, use a serrated knife to cut them into 1 inch thick arrows. Put those arrows in a 300F oven for about 10 minutes. Flip them over and put them back in the oven for another 10 minutes. They’ll still be a little chewy at this stage. If you like your biscotti crispy all the way through, arrange them on a baking rack and let them sit uncovered overnight. 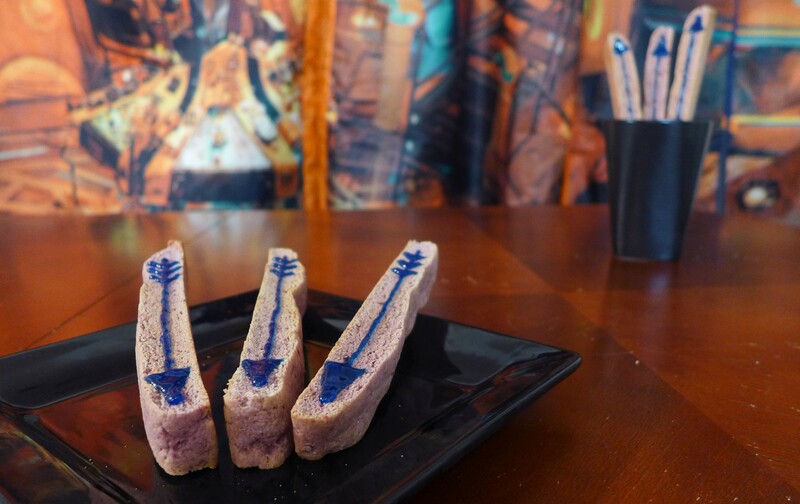 Once you’ve achieved your perfect texture, draw an arrow on each one with a blue icing pen. Serve arranged upright in a cup so it looks like you’re offering people a quiver full of delicious arrows. They’re particularly good dunked in a hot cup of milky chai tea. This only makes about 20 biscotti, so if you’d like to stock up or you’re making them for gifts, I recommend doubling the recipe. If you really love the flavor of pumpkin pie spice, you can double the seasoning. 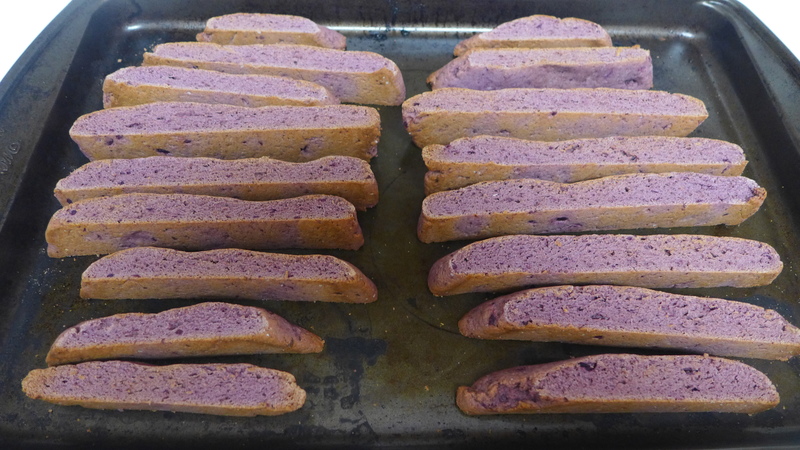 If you don’t mind obscuring the purple goodness, you can also paint one flat side of the biscotti with Nutella then draw the arrow on top. You can tell people it’s an homage to all the leather in his Marvel Cinematic Universe costume, but really, everything tastes better with a smear of Nutella.